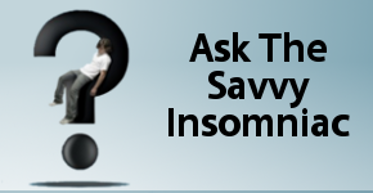 A few weeks ago I blogged about managing insomnia by doing whatever works. It turns out that sleep experts (some of whom also struggle with insomnia) flaunt a few rules of good sleep hygiene themselves—regardless of recommendations they make to us. 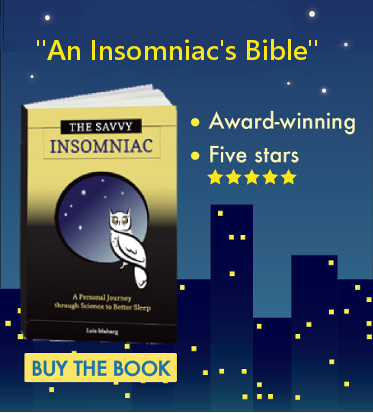 You’ve heard that insomniacs are not supposed to read, eat, or watch TV in bed? Sleep expert David N. Neubauer has a qualified view on this. Dr. W. Christopher Winter, medical director of the Martha Jefferson Hospital Sleep Medicine Center in Charlottesville, Virginia counsels his patients to work out early in the day. Yet he himself gets more of a benefit from exercising at 10 or 11 p.m. He also takes daytime naps—another thing insomniacs are routinely advised to avoid. How Much Stock Should You Put in the Rules of Sleep Hygiene? The suggestions you see in magazines and on the web exist for good reasons. Either they’re validated by scientific studies—such as the rule about going to bed and getting up at the same time every day—or based on observations made by clinicians, such as the advice to get up and do something when you can’t sleep rather lying in bed awake. But each and every rule may not have value for all insomniacs. How could it be otherwise, when the sleepless are such a motley crew? Some of us have trouble getting to sleep; others, trouble staying asleep. Bad nights leave some insomniacs with short tempers; they leave others of us with brains that rattle along in second gear and never reach cruising speed. Such a diverse array of symptoms implies to me that the causal mechanisms of our insomnias are probably different. So how could remedies proffered to the masses be uniformly beneficial to all? Overall, I think we’re wise to pay attention to the rules of good sleep hygiene. But we’re also wise to experiment and find what works best for us. Which rules of sleep hygiene are helpful to you, and which are not? Two things you hit on that are always important to communicate with a chronic insomniac. First is to preface sleep hygiene instructions with “If you are struggling with your sleep…”. I try to keep things lighthearted and let the person know that if they sleep well the can do whatever they want! The sexing thing is to encourage them to experiment with behavioral strategies. As you described, not all suggestions work for all. “Lighthearted” sounds like a good way of approaching advice about sleep hygiene. Not that the rules overall aren’t beneficial to people who have trouble sleeping. It’s just that there are more “don’ts” than “do’s,” and the path to better sleep can sound so difficult that a person might decide to give up on it altogether rather than picking and choosing the ideas that might work.